We are super excited to introduce another spectacular dentist to our Scottsdale practice! Dr. Fenlon brings years of experience and expertise from the Midwest right to the desert and into our growing office. We’re delighted to share such a warm and friendly personality with out patients. 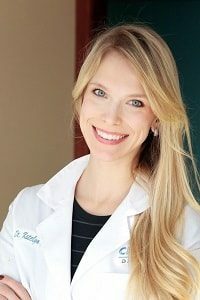 Along with Dr. Lewandowski, I’m sure you’ll find that she is amazing to work with and provides the best and most personal service you’re accustomed to. And she loves children, so if your kids are due for their cleanings…bring them in! We always have time to see the entire family, and it may be convenient for you to schedule everybody at once. Recent improvements at our office includes new x-ray sensors to reduce exposure (http://www.dexis.com/sensor) and a state of the art update to our sterilization room (https://www.scicanusa.com/statim-g4.) We’re happy to invest in technologies that make our care better and our jobs easier. Although possibly not very exciting to you, we’re thrilled! These behind the scenes improvements may be subtle, but emphasize our continued efforts to provide our patients with the best and safest dentistry available. Scottsdale really picks up this time of year. With Barrett Jackson, The Waste Management Open and the coming baseball spring training, lots of us are hosts to family and friends from out of town. If there is ever any dental emergencies where your guest need some help, call us and we’d be happy to assist. With extra doctors and extended hours (we’re open from 7-7), we’re sure to have room to accommodate them. Enjoy the beautiful weather and happy January everybody!